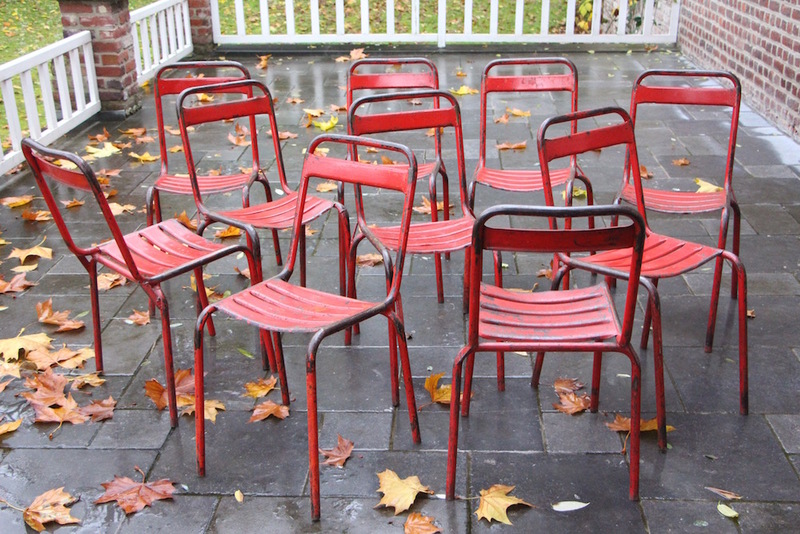 Beautiful set of 10 industrial chairs. The red colour adds to their charm. 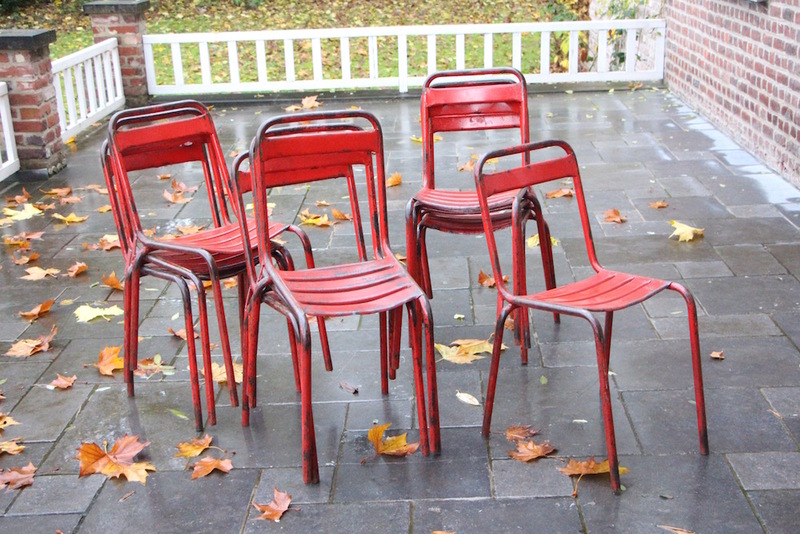 These chairs are sturdy and perfect for outside. 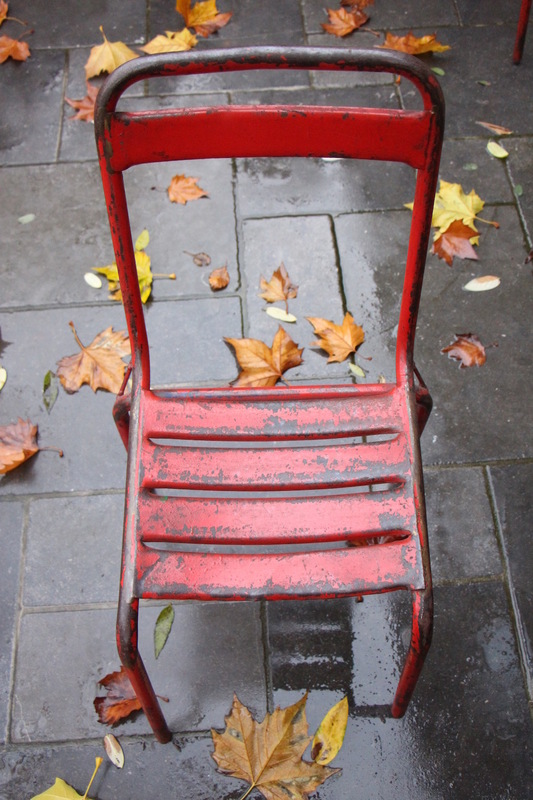 You can use them inside if you are looking for a more industrial look. The painting is perfectely patined and the metallic frame is in excellent condition. Easy to carry around and stackable.